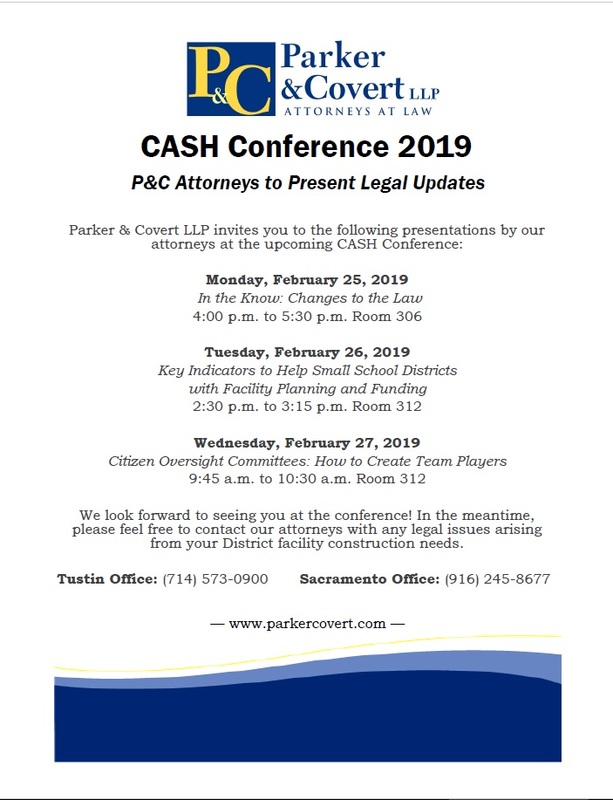 Tustin Law Firm, Parker & Covert LLP | Come see us at the 2019 Annual Conference on School Facilities! Come see us at the 2019 Annual Conference on School Facilities! By Michael Travis | Published January 29, 2019 | Posted in Uncategorized | Comments Off on Come see us at the 2019 Annual Conference on School Facilities!